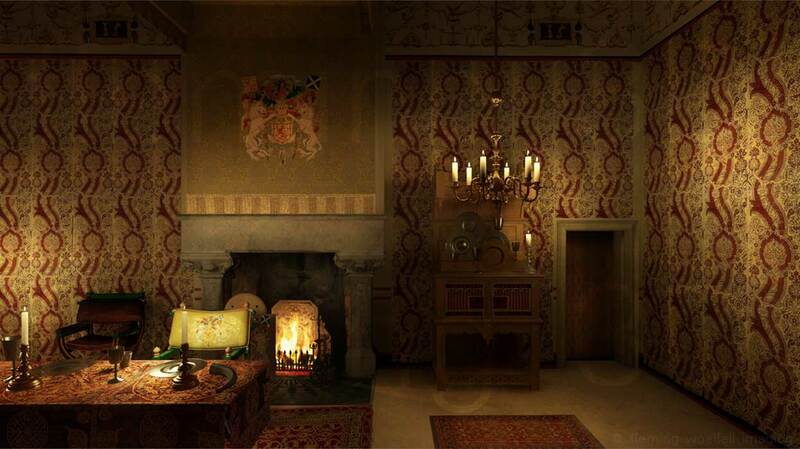 A virtual tour of the royal apartments. 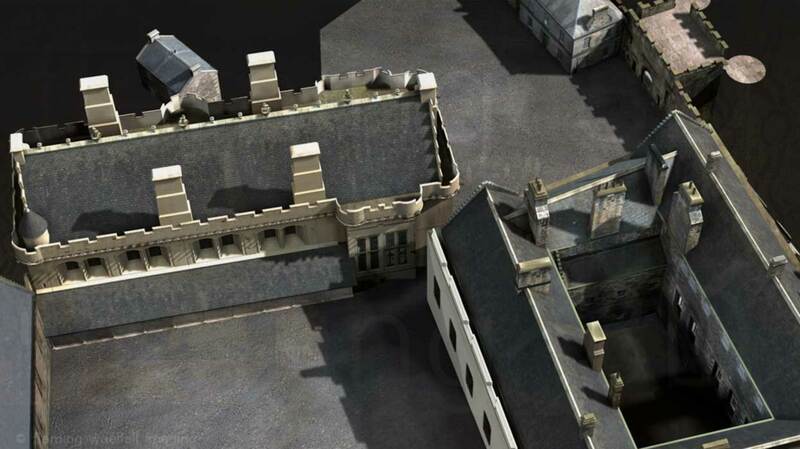 3D models of the castle buildings surrounding the Palace. King James V bedchamber at Yuletide. Reconstruction of the 16th century palace apartments. 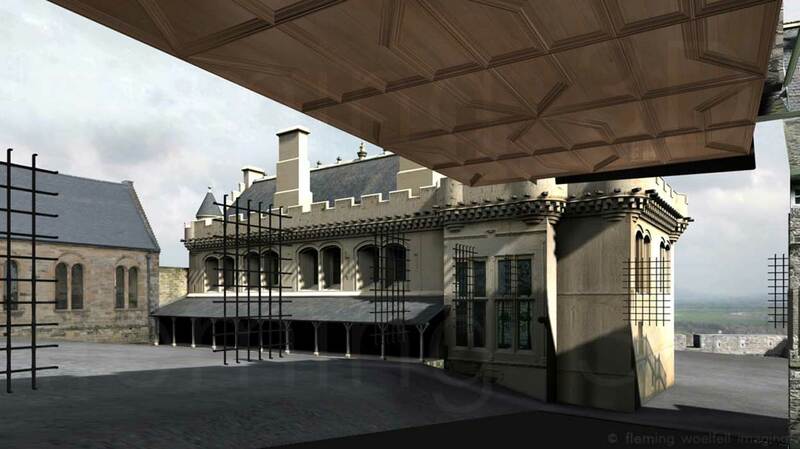 After three years of academic research for this £12m programme we were asked to visualise Historic Scotland's proposed reconstruction of the six royal apartments of King James V and Mary of Guise as they might have appeared in December 1542. 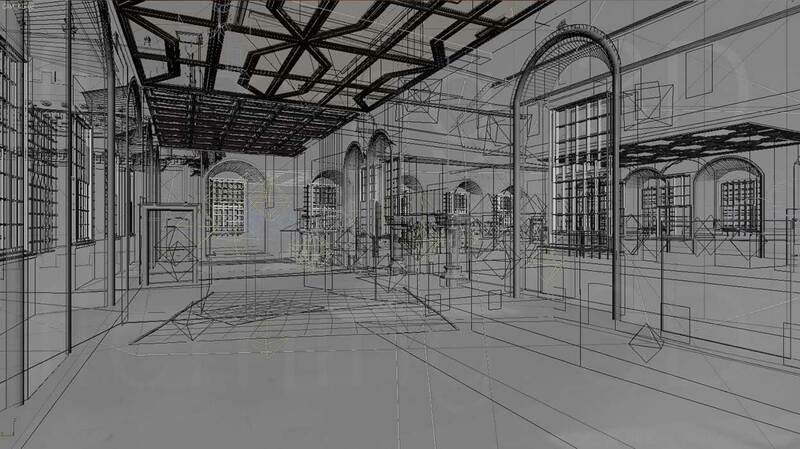 3D building models were constructed from the archaeological surveys and a number of alternative design approaches were tried out. 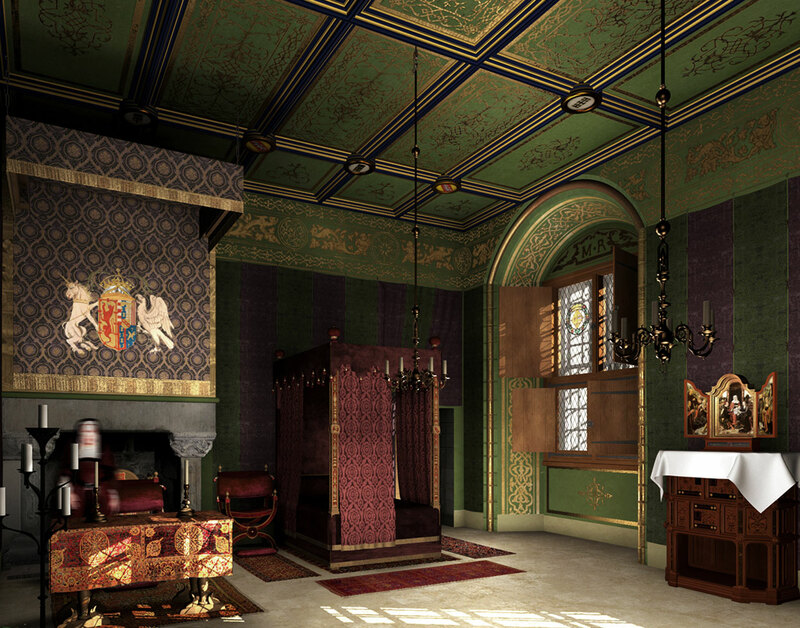 We constructed the period lighting, hand painted decorative schemes and textiles and made virtual period furniture from designs by Stuart Interiors so the entire design could be assessed and agreed on before work to the fabric of the Palace was begun.